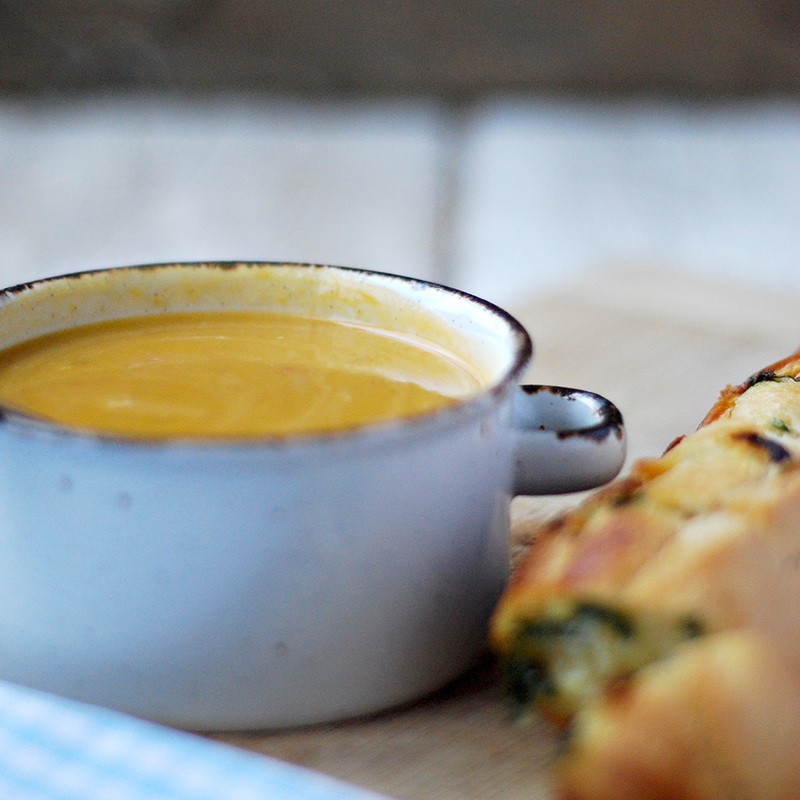 I absolutely love butternut squash and this is my favourite soup, it’s tasty and comforting and you can have it as a started or a light meal. It’s perfect with the garlic bread,. You’ll be amazed. Add the butternut squash and the rest of the ingredients apart from the tomatoes and cook for about 10 minutes, stirring from time to time. Add the water and let cook for 15 minutes. Blend the soup using a blender or hand blender. Add in the single cream and serve. Mix garlic, chives, smoked sea salt, margarine and vegan cheese. .
Place the baguettes of a chopping board and cut little slits into the loaf almost right through to the board so you can get little cracks. Stuff the mixture into the crack and wrap the bread on foil paper. Bake it for 25 minutes at 200c while you make your soup.